Welcome to our Martial arts Academy website. 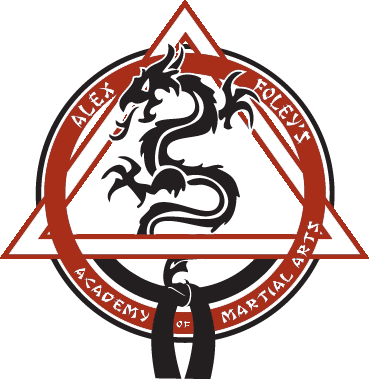 Here at Alex Foley's Academy of Martial Arts we look forward to bringing our students some of the highest level of Martial Arts instruction in the province each and every day! The Foley family has been teaching martial arts for the last 35 years and will continue to do this for generations to come! 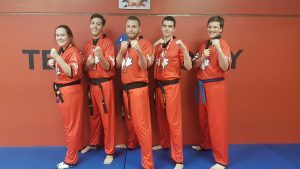 Located at 484 Main Road Goulds (right next to the Big "R" restaurant), our Academy has a 1500 square feet of space and has an olympic judo sub-floor top quality tatami mat system for our students to train on. Our Instructors are dedicated to bringing you the best quality knowledge of Martial Arts in a clean, safe, family friendly environment. We take pride in cleanliness and professionalism we provide at our Academy as well as the character development we instill in our students - striving to make them the best they can be - both athletically and personally. As always, we invite you and your family, to come be a part of Our Family! Kids Karate -- Alex catches a swift punch from a young grasshopper! Junior Kickboxing -- Look at those mean kickboxing kids! The Foley Family -- Serious about martial arts, and having fun. Kids Jiu Jitsu -- Alex better watch out! Junior Kickboxing -- 1! 2! 1! 2! Alex Foley and four of his athletes All made team Canada at the WKC nationals in Ottawa! They will be travelling to Orlando in November for the world Championships! We accept students at the age of 3 years old! Our KinderKarate program combines the curriculum from Kenpo Karate as well as Jiu-Jitsu, your child is sure to have a blast! This help them get ready for pre school! Register today as this program is filling up quickly! Head on over to Facebook to check out our new fan page and give us a ‘like’ to get the Foley name out and show some love for the club.